Deployed in Saudi Arabia, John Shipman, an Air Force chaplain, had an airman come to his door looking for help. He told Shipman that he was in charge of the armory, had access to weapons and was thinking about taking his life. 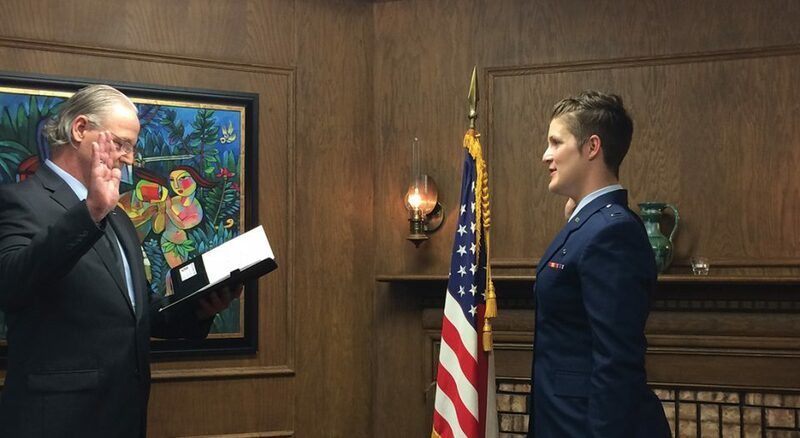 Maintaining confidentiality, Shipman worked with the man’s commander to help him get out of the situation, and the airman was allowed to leave. There are more than 160 ELCA pastors like Shipman who, through the church’s federal chaplaincy ministries, provide pastoral care in contexts that are both public and intimate. Endorsed by their church and employed by the government, ELCA federal chaplains serve in the U.S. military, Veterans Affairs (VA) medical centers and correctional institutions—places that most Americans will never experience. While these places might sometimes be dangerous, remote or isolating, chaplains are present there, sharing the gospel and bringing messages of hope, forgiveness and healing. It’s the responsibility of federal chaplains to help uphold the First Amendment rights that provide for free exercise of religion. ELCA chaplains are put in secular settings where they are expected to provide religious and spiritual care for people of any or no faith. They are pastor to ELCA members and a chaplain to all. 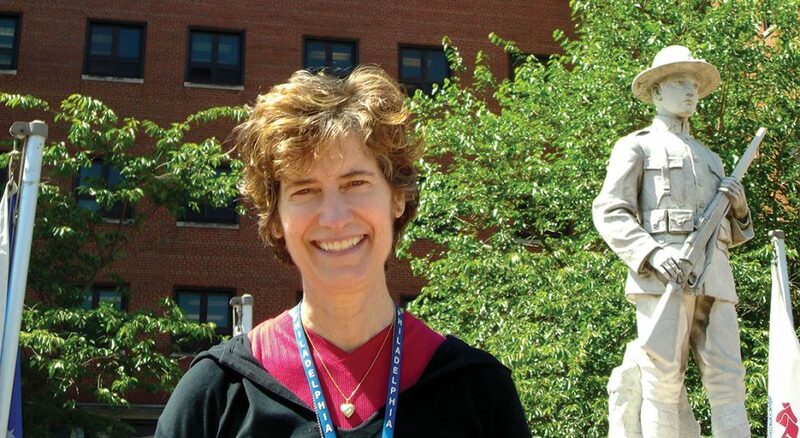 For many ELCA chaplains, this pluralistic environment is a highlight of their work. 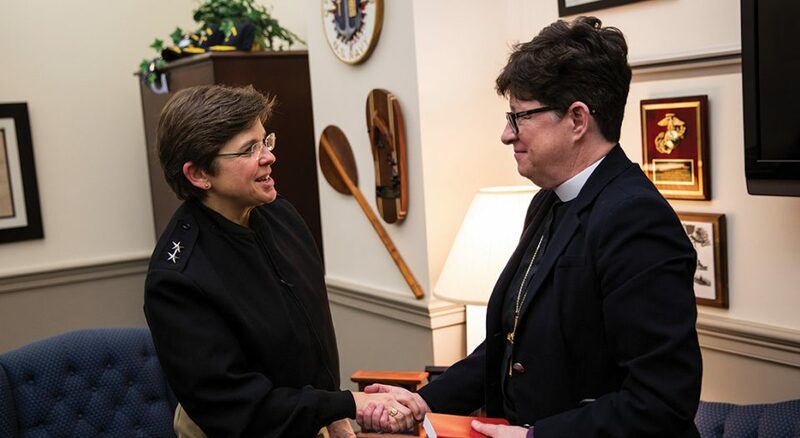 The largest number of ELCA federal chaplains serve in the military, with 136 men and women in the Army, Navy (includes Coast Guard and Marine Corps) and Air Force. They’re commissioned and go through officer training but are noncombatant. 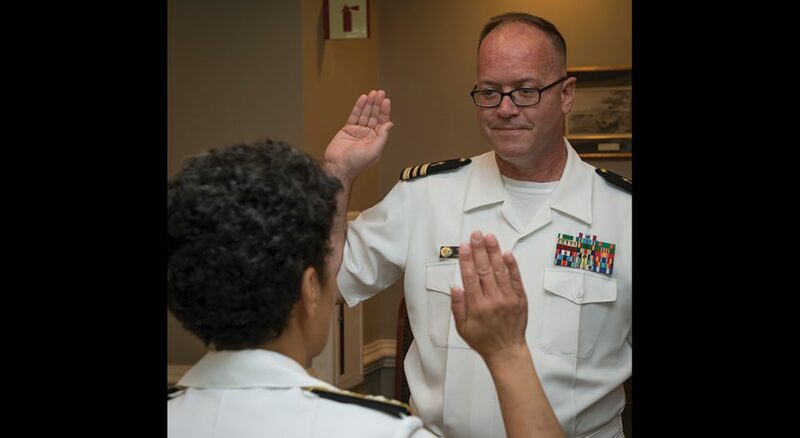 And even though they wear rank insignia, chaplains typically get to work across ranks, ministering and counseling to service members at all levels. Out of 1.5 million men and women on active duty across all military services, Wester said there are approximately 30,000 ELCA members serving. But that number increases when you add the people who serve in the Reserves and National Guard. 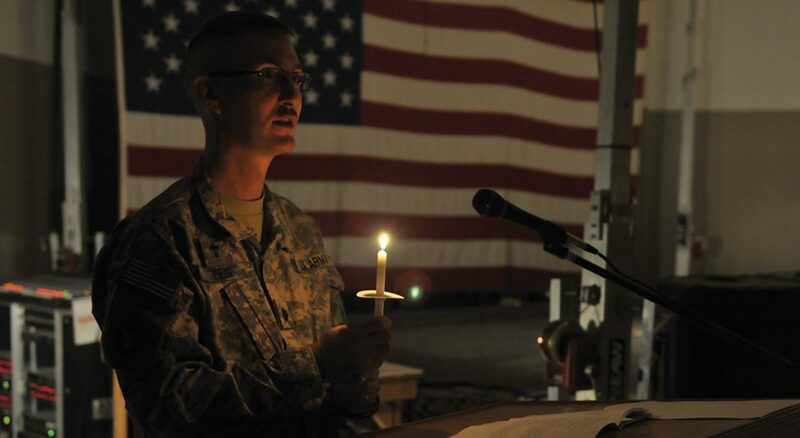 Chaplains in the Reserves and National Guard share their military time with a congregation. Military chaplaincy presents many opportunities for ministry among young adults, with 75 percent of people in uniform younger than 26. 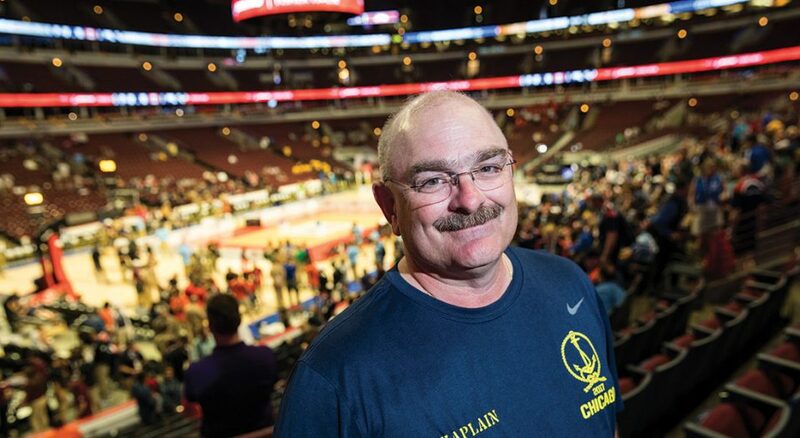 From drill weekends to monthslong deployments, military chaplains work to help men and women in uniform through all the transitions that can come from a life and career in the armed services. At the Philadelphia VA Medical Center, Eckhardt leads eight chaplains of various religions in providing spiritual and religious care to hundreds of veterans, some who could be in for a short outpatient procedure and others who are in hospice, approaching the end of life. In a setting just as religiously diverse, chaplains who work at federal correctional institutions are in highly restricted environments. Lew Messinger, one of the ELCA’s two U.S. Bureau of Prisons chaplains, works at the low-security federal correctional institution in Allenwood, Pa. Due to the high number of religions and faiths represented at the facility he serves, he said much of his role is facilitating. Sometimes the restrictions on inmates can make Messinger’s job challenging, as he tries to accommodate for those who want to meet collectively for worship and prayer while still working with the prison to ensure security for the 935 inmates. In addition to coordinating up to 20 religious programs per week, Messinger preaches and administers sacraments during worship on Sundays. Federal chaplains have many of the same roles and responsibilities as pastors in a parish setting: they preach in worship, administer sacraments, bury the dead, counsel and teach. Chaplains are often privy to intimate and vulnerable moments since their role has them immersed in people’s daily lives. In a combat support hospital in Baghdad, Scott Ofsdahl, an Air Force chaplain, visited a 19-year-old Army private named Chad (last name withheld) in the intensive care unit. Chad and a friend drove convoy every day on a dangerous highway. The road was covered with debris, and often someone would drive over a roadside bomb. Chad and his friend knew their time would come—and it did, two weeks before Christmas. Chad told Ofsdahl that his friend looked over before he bailed out and saw that Chad was in shock. Parts of Chad’s leg and arm were missing and he was just sitting there on fire. His friend gave him a shove, which forced Chad out of the truck. “As I was in the hospital there, talking to him, Chad had no face left,” Ofsdahl said. “And yet, he was one of the most grateful human beings I’ve ever met. He was so thankful he still had his vision … and for his buddy, who stopped in that moment of crisis and reached out with a hand of love and saved his life. 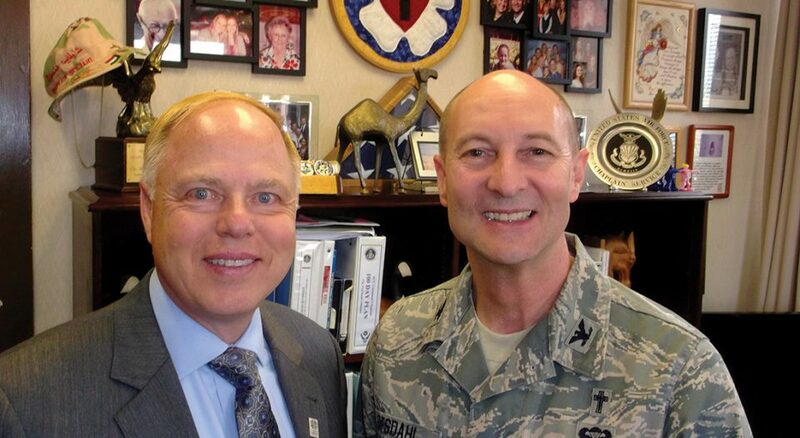 The daily immersion of chaplaincy also means bonds with fellow chaplains are formed. This is something Lloyd said isn’t as strong in the civilian sector. Just as there’s been a decline in the number of new ELCA pastors, there’s been a drop in the number of its chaplains since 2000, with a decrease of about 65 percent in military chaplains alone. From a combat hospital in Baghdad to a hospital room in Fargo, N.D., chaplaincy ministry puts the ELCA in positions to share the gospel in ways and places it might not otherwise be heard.